Study findings suggest that cognitive computing could help physicians to stay abreast of an ever-expanding body of scientific literature as well as highlight potential cancer therapeutic options. 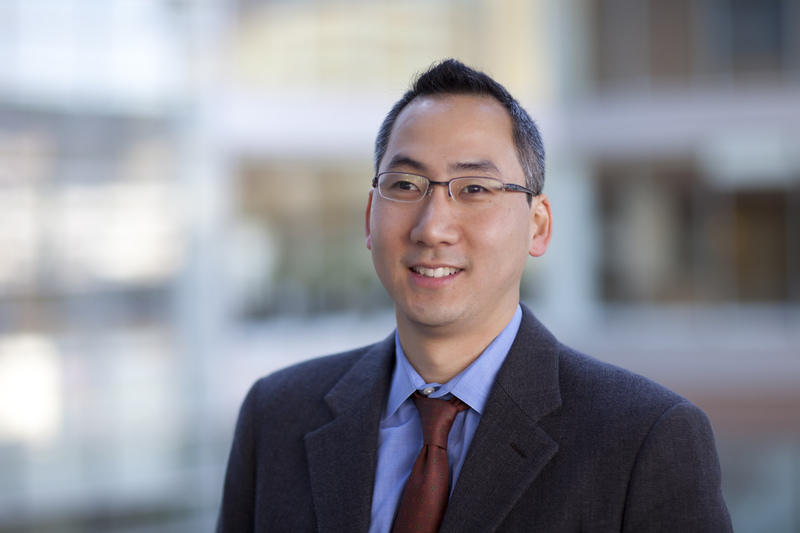 UNC Lineberger’s William Kim, MD, and colleagues report that cognitive computing can scour large volumes of scientific data to identify potentially relevant cancer clinical trials or therapeutic options. A University of North Carolina Lineberger Comprehensive Cancer Center-led study has demonstrated the ability of cognitive computing to scour large volumes of data from scientific studies and databases to identify potentially relevant clinical trials or therapeutic options for cancer patients based on the genetics of their tumors. The study’s first authors were Nirali Patel, MD, formerly of UNC Lineberger, and Vanessa Michelini of IBM Watson Health, Boca Raton, Florida. IBM Corp. provided in-kind access to the Watson technology for the study, as well as technical expertise. The researchers used IBM Watson for Genomics to assess whether cognitive computing was more effective than a panel of cancer experts in identifying therapeutic options for tumors with specific genetic abnormalities. They compared Watson’s ability to identify possible therapeutic options tied to potentially clinically significant genetic mutations with the findings of UNC Lineberger’s molecular tumor board. In a retrospective analysis of 1,018 cancer cases, the molecular tumor board identified actionable genetic alterations in 703 cases, which Watson also confirmed. In addition, Watson for Genomics identified additional potential therapeutic options in 323 patients, or one third of the cases reviewed that the molecular tumor board hadn’t identified. Of these, 96 were not previously identified as having an actionable mutation. “To be clear, the additional 323 cases of Watson-identified actionable alterations consisted of only eight genes that had not been considered actionable by the molecular tumor board,” Kim said. In most of those cases, Watson identified a new clinical trial. One of those trials had opened within a week of Watson’s analysis. In addition to Kim, Patel and Michelinni, the paper’s other authors were Jeff M. Snell and Joel S. Parker, PhD, UNC Lineberger and UNC Department of Genetics; Michele C. Hayward, Saianand Balu, Alan P. Hoyle, Ashley H. Salazar, and H. Shelton Earp, MD, UNC Lineberger; David A. Eberhard, MD, PhD, UNC Lineberger and UNC Department of Pathology and Laboratory Medicine; Patrick McNeillie, MD, Jia Xu, PhD, and Claudia S. Huettner, PhD, IBM Watson Health, Cambridge, Massachusetts; Takahiko Koyama, PhD, Filippo Utro, PhD, Kahn Rhrissorrakrai, PhD, Raquel Norel, PhD, Erhan Bilal, PhD, Ajay Royyuru, PhD, and Laxmi Parida, PhD, IBM Research, Yorktown Heights, New York; Juneko Grilley-Olson, MD, UNC Lineberger and UNC Department of Medicine; D. Neil Hayes, MD, MPH, formerly UNC Lineberger and UNC Department of Medicine; Norman E. Sharpless, MD, formerly UNC Lineberger, UNC Department of Genetics and Department of Medicine; and Stephen J. Harvey, IBM Watson Health, Herndon, Virginia.